From June 5 through June 7, area students in grades 6 to 10 can investigate a crime scene, discover the chemistry of explosions and build a rocket during Rhodesology 101. 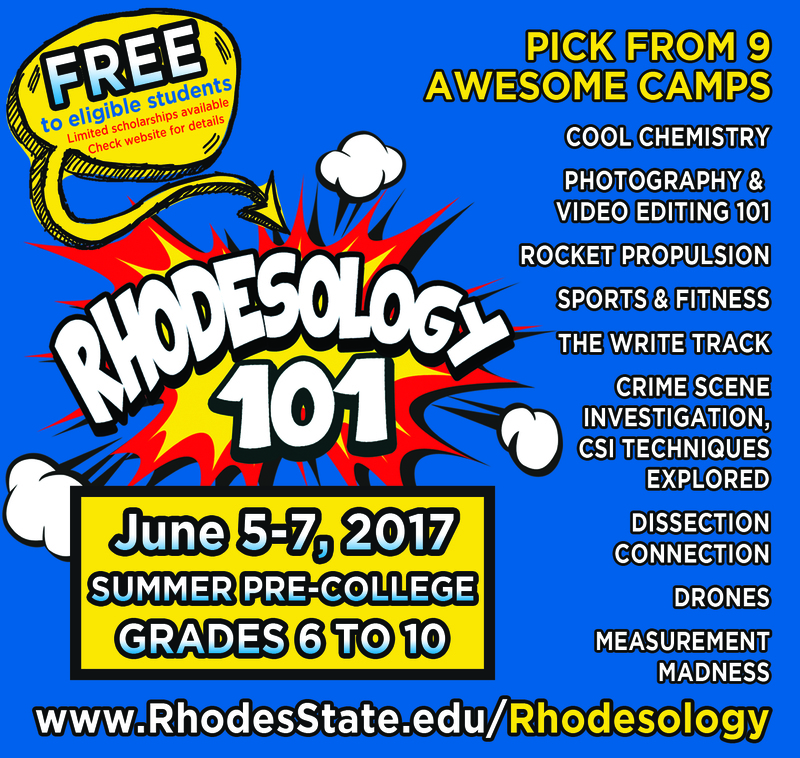 Thisunique summer camp, offered annually by Rhodes State allows attendees to experience skilled concepts in engineering, sports and fitness, visual and written arts—even aerodynamics, propulsion and resistance while building and launching a rocket. Feedback from last year&rsquo;s event includes, &ldquo;They can&rsquo;t wait to do it all again next year. As parents, we are glad there was something available to them that was fun but also educational.&rdquo; Nine different three-day sessions will be taught from 8:30 a.m. to 12 p.m. and 12:30 to 4 p.m., Monday through Wednesday, by award-winning Rhodes State faculty. These sessions are designed to allow students to explore their interests and have fun.